For 40 years, the National Sheriffs’ Association (NSA) has supported local law enforcement in their efforts to build watch groups and encourage local community participation in the Neighborhood Watch program. As a direct result of creating and establishing watch groups—who use the basic principles of observation and reporting—America’s citizens have reduced crime and built stronger neighborhoods. Currently, the United States has more than 25,000 active watch groups, with over one million volunteers, according to NSA’s USAonWatch database. 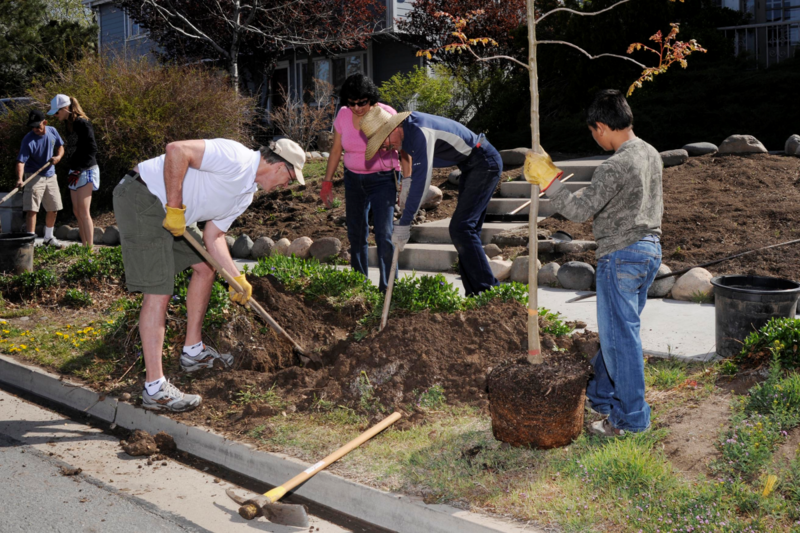 The key to the success of the Neighborhood Watch program is the continued willingness of neighbors to work together to help build better communities. In the aftermath of the September 11, 2001 terrorist attacks, NSA partnered with the USA Freedom Corps, Citizen Corps, and the U.S. Department of Justice to expand the original Neighborhood Watch program to incorporate disaster preparedness, emergency response, and terrorism awareness training into the program and in 2002 launched USAonWatch, the face of the revitalized Neighborhood Watch initiative, which represents the expanded role of watch programs throughout the United States. Time-tested practices such as “eyes-and-ears” training and target-hardening techniques continue to be at the core of the program. As watch groups continue to grow, the roles of volunteers have become more multifaceted and tailored to meet local needs. The basic principles behind the Neighborhood Watch program have been ingrained in society for hundreds of years. Americans have a need and willingness to give back to their community, and what better way than to start where they live. The program empowers citizens to develop vital community relations that unite law enforcement agencies, private organizations, and individual citizens in a nationwide effort to reduce crime and improve local communities. The success of the program has established Neighborhood Watch as the nation’s premier crime prevention and community mobilization program. Visible signs of the program are seen throughout America—on street signs, window decals, community block parties, and service projects. In addition, the program empowers citizens to develop vital community relationships when crime or a natural disaster has affected a neighborhood. Today, more than 5,000 local law enforcement agencies actively support the program. Neighborhood Watch groups have demonstrated great success, as local newspapers across the country report how a burglary or robbery suspect was caught as a result of important tips provided by watch volunteers. These successes have led to the creation of active watch programs, like those in the United States, in Canada, Australia, the United Kingdom, Germany, and other countries. As a demonstration of the program’s wide reach and notability, the U.S. military has incorporated the principles of a Neighborhood Watch program in community outreach efforts in Iraq and Afghanistan. Despite changes in society over the past 40 years, Neighborhood Watch-USAonWatch is one concept that has remained strong. 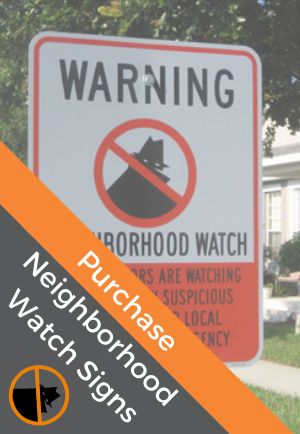 The longevity of Neighborhood Watch is attributed to the fact that the program is flexible to suit the needs of the community, and can be adapted to any “neighborhood” environment (e.g., Cab Watch, Campus Watch, Ranch Watch, and Marina Watch). 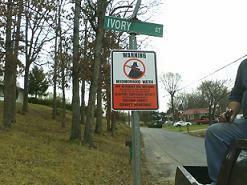 The Neighborhood Watch program has also demonstrated an ability to adapt to today’s varied communication methods. Communities still use the time-honored method of phone trees to communicate with watch volunteers; however, communities have grown larger, and the roles and responsibilities of law enforcement have also expanded. 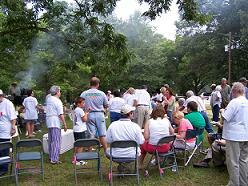 The online Neighborhood Watch community was born and continues to change each day. The role of the national Neighborhood Watch program is to provide community members with useful and helpful information, and it is of utmost importance that the National Neighborhood Watch Program communicates effectively, using the most advanced technology and social media to reach its member base. Law enforcement agencies are communicating more and more using Facebook and Twitter. If something suspicious is noticed, pictures can be taken with a smartphone and can be sent via text message to the law enforcement agency. Reports of suspicious activities can now be made using free agency apps that are easily downloaded. Currently, USAonWatch.org offers Facebook, Twitter, and Google+ pages to connect groups with each other and provide vital crime prevention information to communities across the country. While the online community has grown and continues to grow, NSA is continuing to create content and resources to assist sheriffs’ offices and police departments in their work with Neighborhood Watch groups and vice versa. Providing in-person training, in partnership with the Bureau of Justice Assistance via NSA’s Neighborhood Watch Toolkit, has allowed NSA to train more than 3,500 officers/deputies and more than 1,500 community leaders over the last five years. The Neighborhood Watch Toolkit Training covers topics that include pandemic flu, older adult safety, bullying, foreclosure, and drug abuse prevention. While in-person training is critical to building important networking connections between deputies and officers, the national program is also leveraging current social media to provide training materials to additional agencies and watch leaders. The USAonWatch webinar series began in January 2012, allowing important program topics and issues to be presented in a timely manner to the field. For those who are unable to attend the webinars, as of June 2012, content is recorded and uploaded to the USAonWatch YouTube channel. Another exciting addition to the national program was the May 2012 launch of the USAonWatch Academy Watch. Academy Watch is an on-demand, self-paced training series covering everything from an overview of the Neighborhood Watch program to strategic planning for watch groups. The self-paced training materials have been taken directly from the USAonWatch Toolkit and are being provided online, in both English and Spanish. NSA continues to stand ready to help build relationships between law enforcement and citizens, to assist them improve, build, and change their communities. 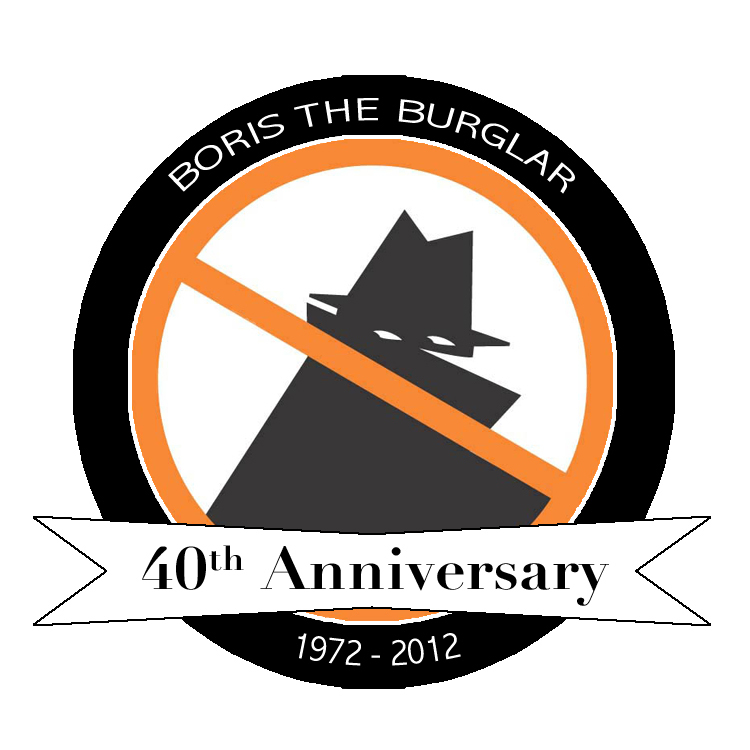 To help us commemorate the Neighborhood Watch’s 40th anniversary this October, consider holding a special event in your community, such as a block party or a special event to thank your block captains and law enforcement liaisons for their time and efforts. NSA is happy to offer certificates of appreciation for your agency’s work with the program or its community volunteers. To receive certificates, simply send an e-mail to nw@sheriffs.org, with the names to be printed on the certificates and the date by which you need them. We thank you for your support, encouragement, and belief in the program for the last 40 years, and we look forward working with all of you in the future. Neighborhood Watch Trivia - Did You Know?